£1000 for Access Protection Markings at the nine dropped kerb locations in Lichfield Road where the car parks serve multiple residents. Well done to all the residents who suggested and presented the ideas, and councillors Amanda Taylor (Queen Edith’s) and Noel Kavanagh (Coleridge) for helping see them through. Can anyone explain why it costs £2,000 to paint double yellow lines on a short section of a single road? Hallo David. A very good question! Parkng restrictions require Traffic Regulation Orders, which are subject to national legislation. One of the requirements is that the council has to consult by advertising the proposals in the local paper (as well as letters and notices on lampposts in the street getting the yellow lines). If the order is approved, it must advertise in the paper again that it is going to implement the order. Newspaper advertising is expensive. I personally think the law is outdated, as I don’t know many people who read all the public notices in the local paper. Other costs include officer time surveying and measuring, carrying out informal consultation, drafting the order, and finally, paying to have the lines painted. A lot of residents on Netherhall Way dispute that their road is wide enough for parking both sides. The bid was for single yellow lines except for the junction with Chalk Grove which is for doubles. The funding has been approved; the detail has to be determined through consultation with residents and traffic regulation order. It’s fine for them to say Netherhall Way is wide enough for parking both sides, but I’ve seen large vehicles get into significant problems trying to get through, and small cars driving on verges & pavements to get round it. I guess H-Bars would help getting out of driveways, but single yellows would make life better for everybody. I hope that’s what they intend to do ?!?!?! Hi Phil. Your neighbour Clive, who spoke at the meeting — assuming you are the Phil I think you are 🙂 contested the idea that Netherhall Way is big enough to park both sides. The bid proposed single yellow lines except for the junction with Chalk Grove, which would be double yellow lines. The funding has been awarded; the next stage is for the council to draw up some plans and consult with residents. Why has the junction between Spalding Way and Queen Edith Way been left out of the yellow lines extension plans? We’ve mentioned more than once that cars park right up to the junction, reducing it to single track traffic at crucial times when cars can’t turn in from QE Way. We have even seen cars resort to driving along part of the pavement to get past. The bids were put in on a street by street basis. All had to go through a competitive process and the highest scoring ones are being funded. There is £193,000 available across the whole city and Queen Edith’s got £16,000 of this. 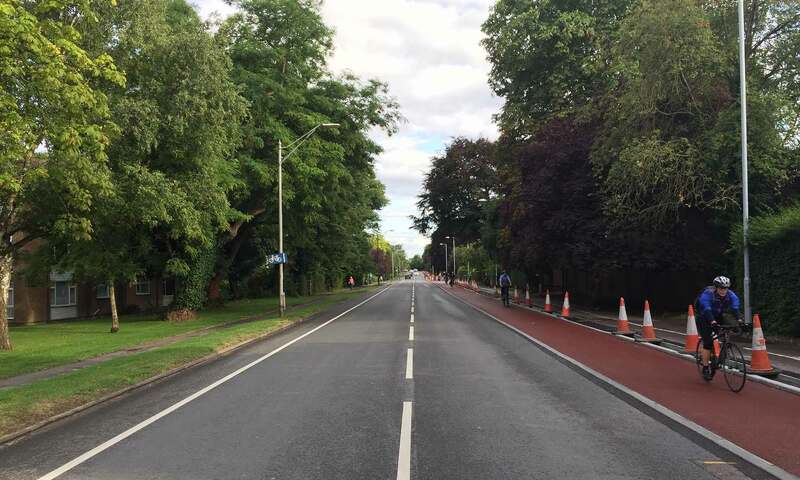 We could apply for parking restrictions for Spalding Way or other roads in the next round – first step is to get a feel of whether there is general agreement in the road. Could you drop me an email on this, Heather? Next PostNext An unloading ban on Hills Road? Who knew?